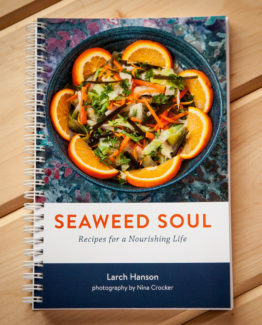 Harvested in the cold months of April and May, this crisp, long and beautiful sea elder is a member of the oldest family of plants on earth … and they were the first to establish a top and a bottom, giving them a sense of polarity, internal direction, rootedness, upward floatation in the water world toward the light, and an infinite patience and faith in the cycles of tide, season, ebb & flow, coming & going from existence. This plant is easy to cook with land vegetables on a daily basis. The life of a kelp plant is about three years, spent in a tidal flow that reverses direction every six hours. Imagine being anchored by a holdfast, your hollow stipe gently lifting you toward the light, your wide blade/frond growing in the ocean’s inflow/outflow/inflow/outflow……and you’re one of the multitude that have been doing this since the beginning of Ocean here on this planet. Your life began when your tiny spore settled and attached to a rock. The first year you grew to a foot long, the second year, six feet long, and now, in your third year, you are one of the elders in a kelp bed, twelve feet long and exposed to turbulence on the surface at low tide. This is your last year, and you are releasing spores from the tip of your frond that will become the next generation of kelp. You are one of the Old Ones, a member of one of the oldest families of sea plants on earth, aligned with the flow of the universe…..and in the Light…..and there is no “I”……there is only the ancient All in One. 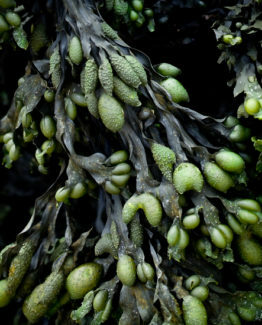 A Google search on seaweed will reveal that it is being studied for its positive effects on cancer prevention, cardiovascular health, degenerative disease combatant, detoxification, infection control, intestinal cleanser and healer, respiratory enhancer, sexual health and hormone support, thyroid balancer, weight-loss aid, and wound healer. 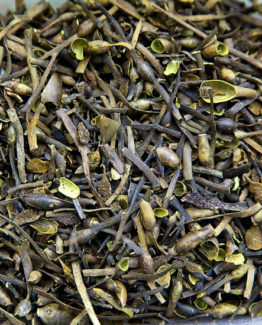 For me, kelp is one of the great balancers of my body, and I use it daily. 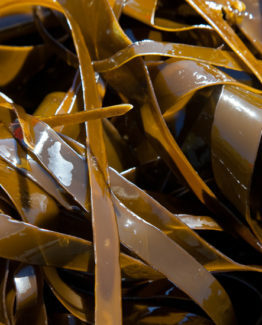 Reconstitute kelp by cutting 4-5 inch lengths with a scissors and then soaking in warm water for 5 to 10 minutes. Then, to use as a vegetable, cut into strips or small squares and add to stir-fried vegetables, bean stews, soups, hot cooked grains, or simple noodle dishes flavored with miso or tamari. Kelp goes well with carrots, onions, parsnips, rutabaga, turnips, tofu, parsley, kale, cabbage, and other greens. 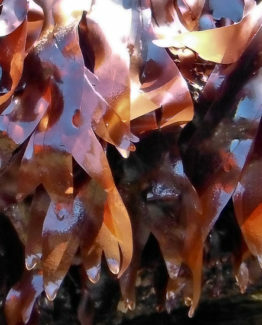 Kelp may be used as a tenderizer for cooking beans, peas, and lentils. 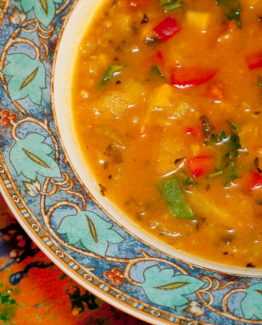 Kelp contains glutamic acid that softens the beans, making them more digestible. 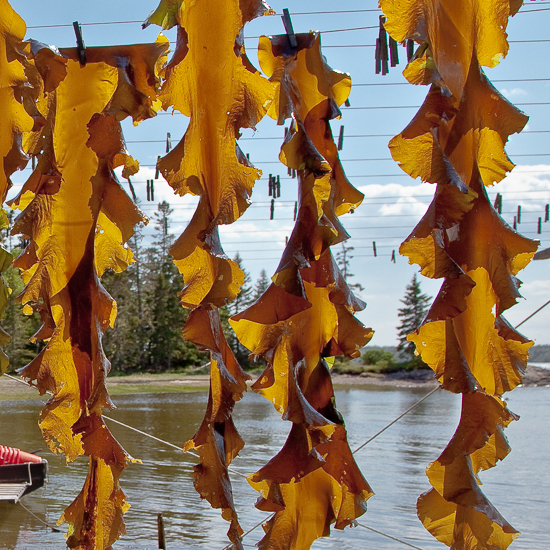 Simply add a 4 inch piece of kelp per pound of dried beans and cook until tender.